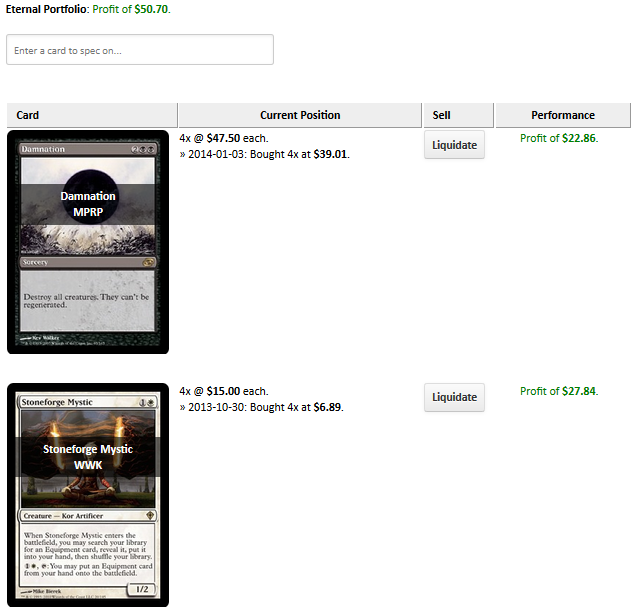 People talk a lot about how they make bank speculating, or how everyone should buy or sell certain cards. Now you can compete to see whose strategies actually work. This is all for fun. There's no actual money being exchanged. The dollars listed above aren't real. This is a simulator.